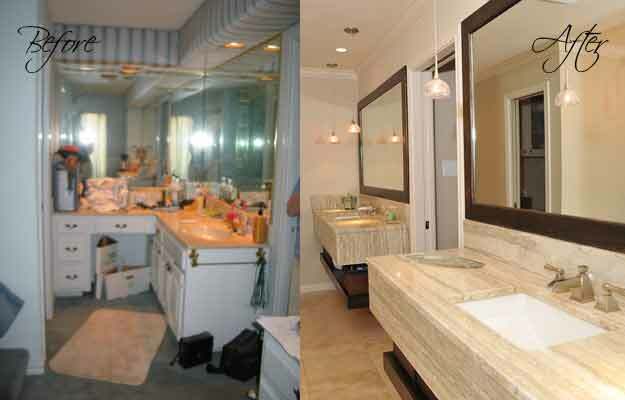 The existing space contained several elements that made it feel out-dated. 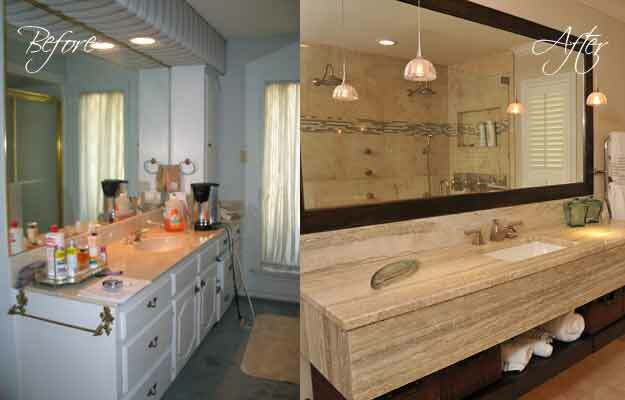 The clients naturally wanted a more contemporary look, and functionality more suited to their lifestyle for this bathroom remodel. 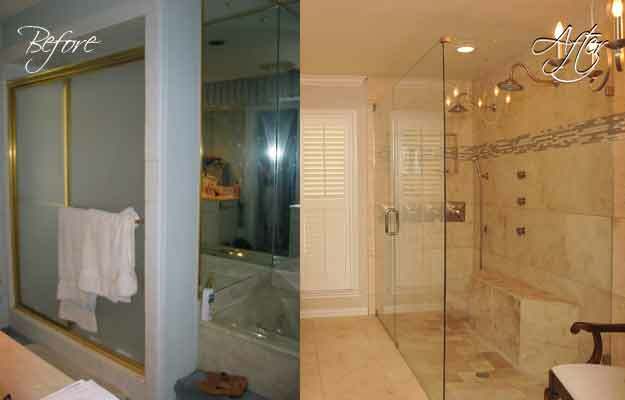 We removed the bathtub in order to make a striking and luxurious over-sized shower and sitting area; complete with three body sprays, a sizable bench, and room for two people. Each of the two shower heads has a different controller so each person can control their own water temperature. 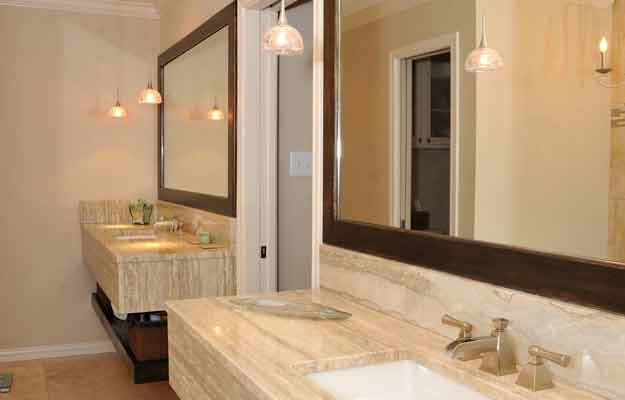 The 18 x 18 travertine tile and silver travertine countertop created updated the look. 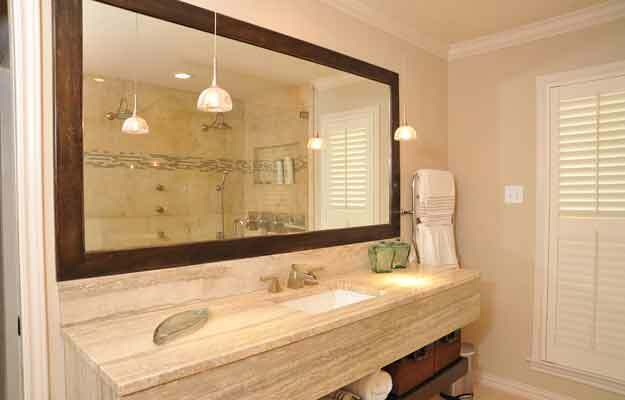 The frameless shower glass and floating custom vanity help to make the room feel larger. The chandelier above the sitting area, the mini pendant, and recess can lights on the ceiling take care of any lighting needed and add a pleasant atmosphere. To help conserve space and keep things organized, the shelves below the vanities are mobile with stylish baskets for storage. Electrical plugs are mounted under the counter top. 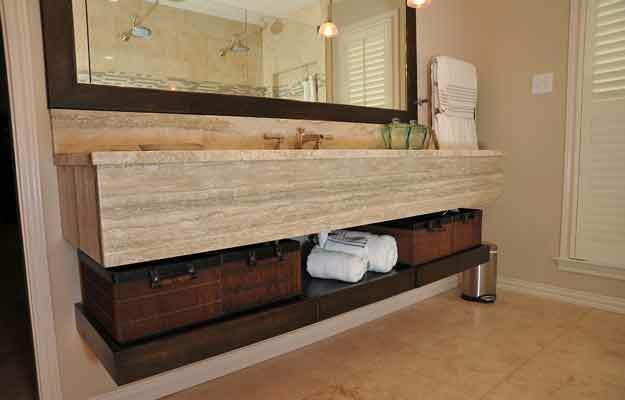 This allows the clients to store electrical devices in the baskets under the vanity, and easily keeps cords hidden from view. 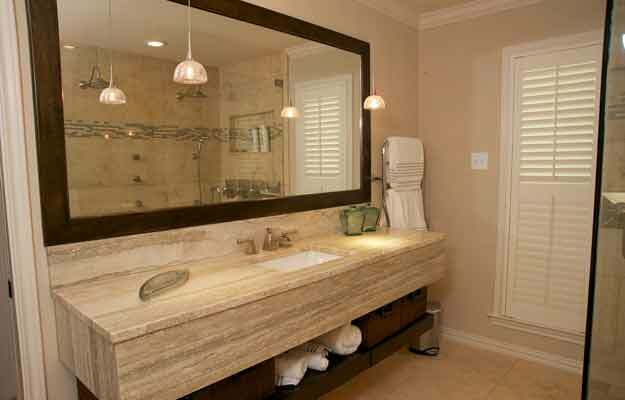 We finished the project with a nice warm towel rack.